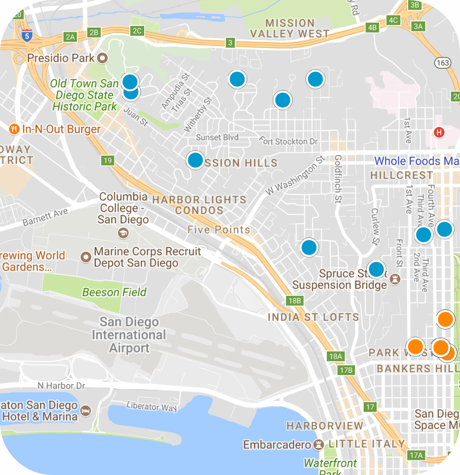 San Diego Home Sales website search offers all Mission Hills homes, condos and foreclosures for sale. You are able to get new property listings daily that meet your search criteria. The neighborhood of Mission Hills is one of the many communities that make up the city of San Diego in Southern California. The community is ideally situated near the intersection of Interstates 5 and 8, offering quick and easy access in both the east-west direction and the north-south. It's just five miles north of downtown San Diego. The community overlooks San Diego Bay and the oldest part of the city. Mission Hills is a small community, but it offers residents quick access to a number of amenities across the city. It sits just south of Mission Valley West park and the Riverwalk Golf Club, the Presidio Park and Presidio Hills Golf Course, as well as just east of the Old Down San Diego State Historic Park and the Whaley House Museum Soho. Public transit can be caught at the San Diego Old Town Transportation Center. The USCD Medical Center-Hillcrest and the Scripps Mercy Hospital are east of here, providing medical care to residents, and the Marine Corps Recruit Depot of San Diego is just south. There are dozens of shopping centers just minutes away, including the closest, Midway Garden Plaza Shopping Center. It is mostly a residential area, though there are a few small restaurants and stores. Children living in Mission Hills are assigned to public schools in the San Diego Unified School District. For high school, students can choose to attend either Point Loma High School or San Diego High School. The private Francis Parker School, founded in 1912, is located here. The University of San Diego is the nearest higher education institution, at least than a mile north of the neighborhood. 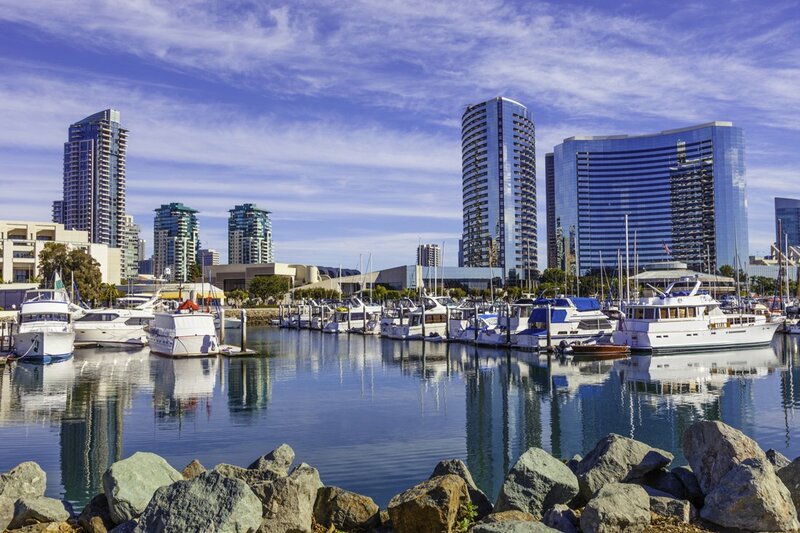 The San Diego International Airport, a major hub for Southern California, is just minutes south of the community and is easily reachable.